French Women love to travel by bicycle. They'll chose a pretty bike with an old-fashioned straw basket. so she can quickly recognize her own bike. 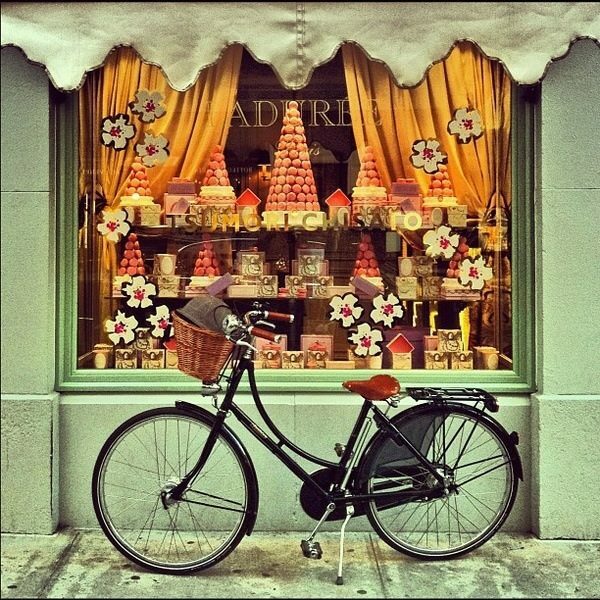 Yes, biking is fashionable, and of course it's also a French Woman's secret to staying fit. Do you like to bike? Or do you prefer walking? Or dancing? I'd love to hear!